Are you looking into a home or commercial property in Western Washington? Make sure you're moving forward with real estate that is surprise-free. 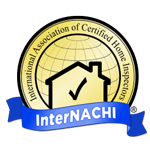 Baum Inspection Services performs residential and commercial property inspections. Based in Maple Valley, WA, Jim Baum offers peace of mind for clients in Seattle, Maple Valley, Bothell and surrounding areas. Knowledge is power. Get the info you need to make informed decisions. Call Baum Inspection Services today to discuss and schedule your inspection! Jim can also inspect recent repair work done on your residential or commercial property. Before you know it, you'll have an easy-to-read and highly detailed final inspection report full of valuable information. For commercial and home inspection services in the Bothell, Maple Valley, Seattle, and surrounding WA areas, turn to Baum Inspection Services. Serving all of Western Washington - call Baum Inspection Services today.